So Exciting. 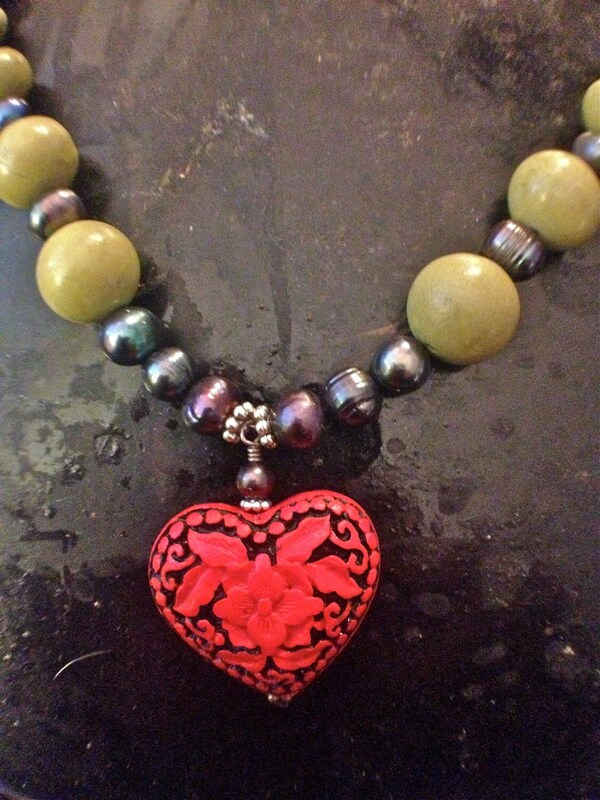 Just in time for the holidays, a Bellagazoo Web site on ETSY! Take a few minutes and tour around. There are lots of new items and sections. I love how organized this makes everything. Such a unique and special love gift. 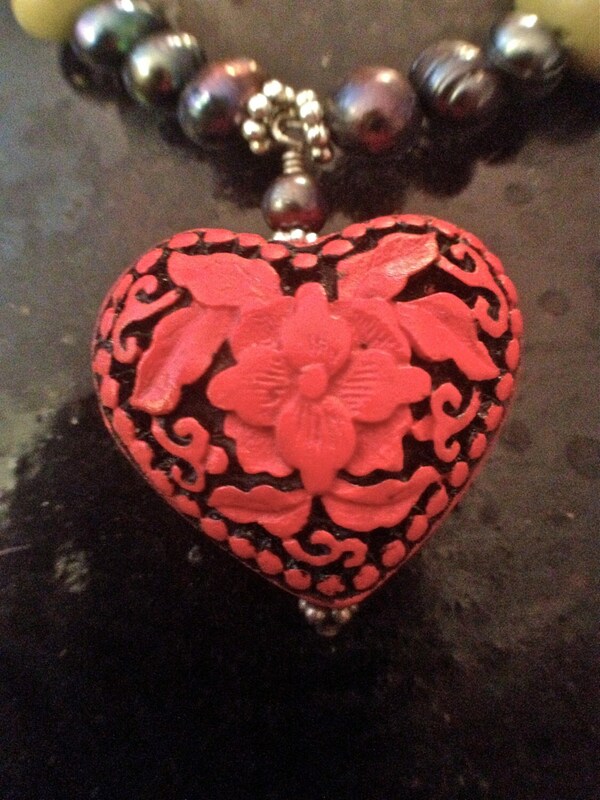 Perfect for Valentines gift for a love one or to yourself! 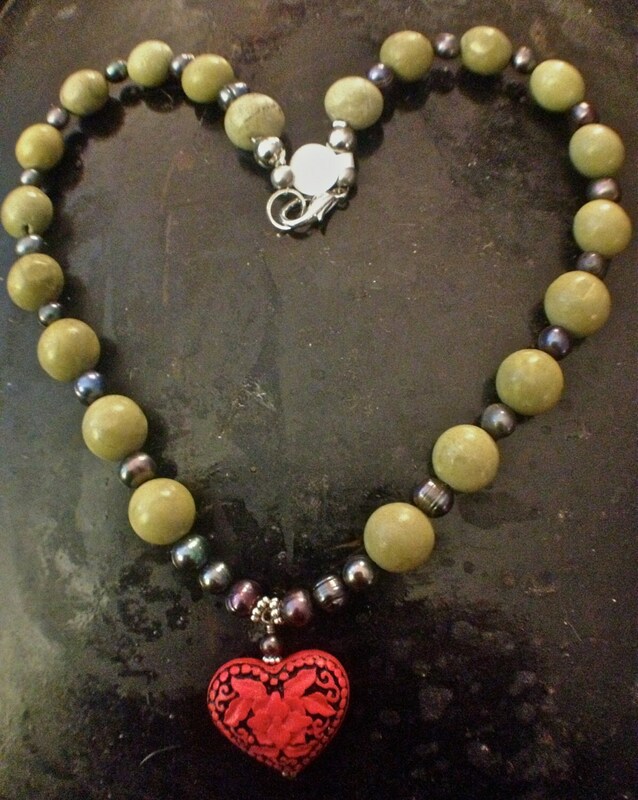 Alternating blue gray fresh water pearls and 8mm green tourquoise beads and silver spacers coming together with a carved cinnabar heart. 20" long with a Sterling silver clasp. USPS 2018 shipping rates first class includes tracking for the US. Please let me know if want insurance added. Custom Priority 1 day shipping is available on many items. Please convo me first. Some pieces are custom made upon ordering and can not be shipped immediately, but most are. I hope that you will love your beautiful pretties but if you are not satisfied, they may be returned in the same packing and shipping manner, within 1 week to receive a full refund. The buyer will pay for the return shipping. There will be a 25% restocking fee on all refunds. Once the item is received in good order, a refund minus the original shipping costs and 25% will be issued. Anything after a weeks time would be on a case to case basis, feel free to contact me! I love custom work so if there is something you are looking for and cannot find, I will do my best to help you out.